In case you've mentioned the multitude of think pieces over the past 12 months jazz - it seems - is back. But for those involved in the music, it's been thriving for some time now, pockets of ne'erdowells, vagabonds, and erstwhile geniuses pushing the sound forward. London's jazz scene has already been extensively mythologised, but it's time for Manchester to get the props it deserves. Different in scope and character to the capital, Manchester's scene dips into neo-classical and electronics, giving it a fresh character. GoGo Penguin exist in their own world, but they've always been closely drawn to and interacted with the city's jazz scene. When I was about 19-20 I used to play here almost every night. Back then it was run by a saxophonist called Matt Nickson. Over the years Matt & Phred's played a pivotal role for a lot of the musicians I know around Manchester and I've spent many a drunken hour watching the likes of Jon Thorne, Jon Ellis, Luke Flowers and Stuart McCallum... to name a few. When I was a student in Manchester I remember going to Band On The Wall a lot. A very memorable gig there was watching Eddie Palmieri's 10 piece NYC band. The atmosphere and the music was incredible that night. Band On The Wall was closed for many years but it's great that it's now back on the Manchester map and we've had some great nights playing there with GoGo Penguin. This shop has been in the city since 1978 and it's still going strong. I still buy records from Piccadilly Records on a regular basis and they've done a lot to support us over the past few years. I used to buy so many old Blue Note albums from here. I don't get down here quite as often as I'd like these days but every now and then I pop in. Vinyl Exchange is a great record shop with some knowledgable staff. John Ellis is a fantastic pianist. I've watched John play in many different settings over the years and he always has a unique and inspirational voice in his playing. John contributed towards a lot of the early Cinematic Orchestra material amongst many other things. Jon Thorne was my double bass teacher in Manchester and was a huge inspiration to me. I always liked how he balanced playing local jazz gigs whilst simultaneously doing huge gigs as the bassist for Lamb. The idea that it was all music at the end of the day resonated with me. I first met Matthew Halsall at Matt & Phred's years ago and what he's gone on to achieve since with his music and his record label Gondwana is pretty amazing. Gondwana Records has provided a platform for us and many other Manchester based jazz musicians to reach a wider audience. 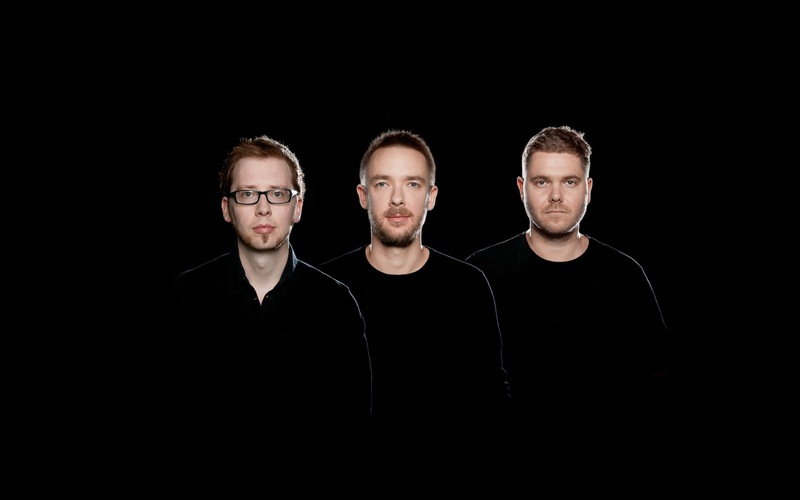 Catch GoGo Penguin at London's Royal Albert Hall on November 12th. For tickets to the latest GoGo Penguin shows click HERE.